Over the weekend we decided to make a start on one of my New Year's Resolutions. You may remember that one of them was to start baking. We decided to ease ourselves in by cheating a little and making our first batch of cupcakes using some cake mix ... however, before you all run away in horror let me tell you a little bit about the mix that we used. We made raspberry and vanilla cupcakes created by House of the Rising Bun and it's a bit more special than the normal cake mix you'd find in your local supermarket. 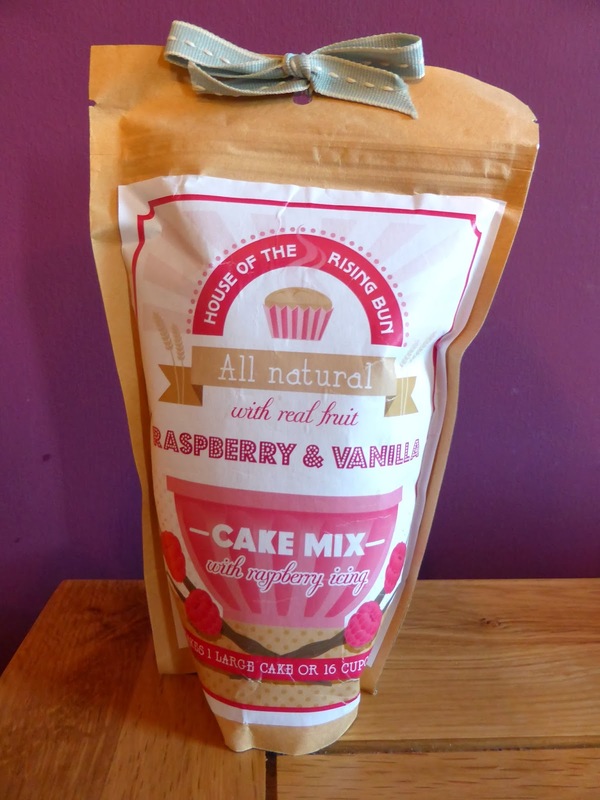 All of their cake mixes are 100% natural, that means no additives or preservatives and high quality flour mixed with real vanilla and fruit. 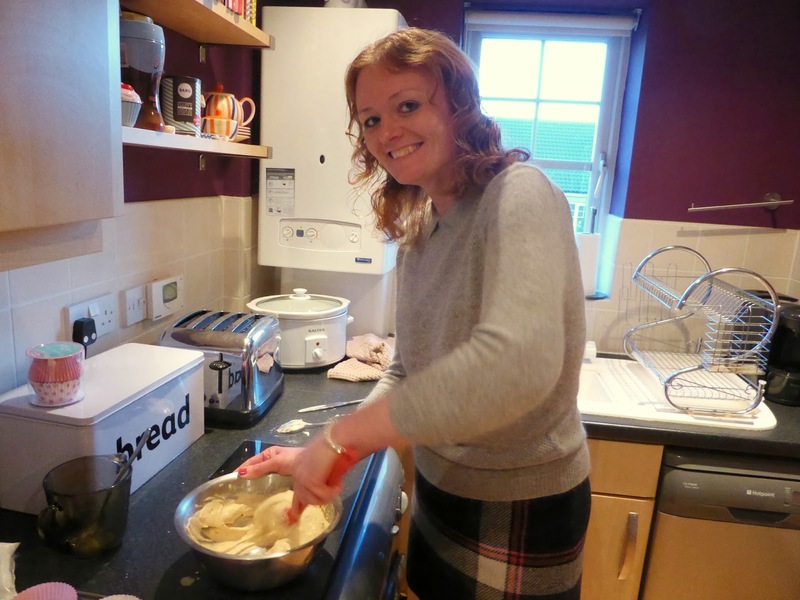 It's good to find a mix that allows you to bake quickly without losing any of the flavour. 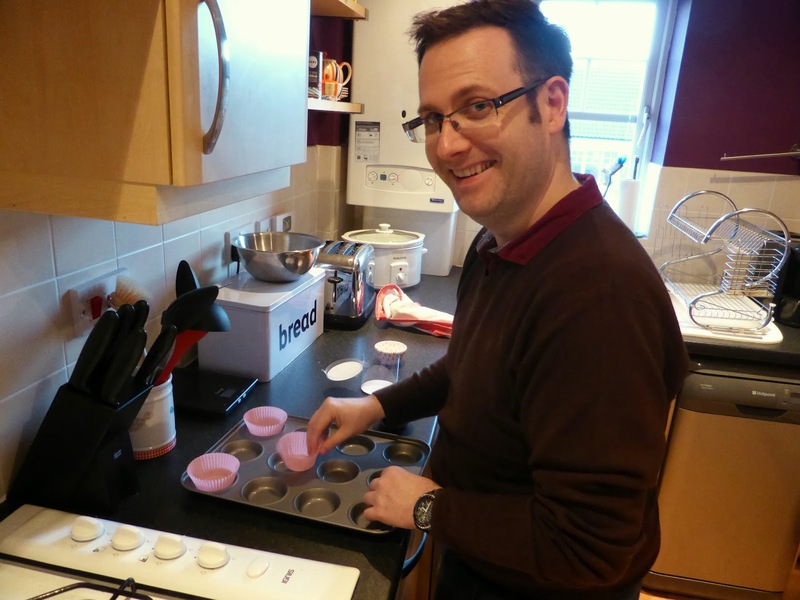 The instructions were easy to use, even for complete beginners like us and made 12 cupcakes. If you want to have a go yourself, take a look at the other flavours they stock in their shop , they only cost £4.99 each. As we poured the mixture into the bowl we could see the chunks of raspberry dropping in so we knew we were on to something good. Now neither Simon or myself are great bakers but we did a pretty good job thanks to the cake mix. 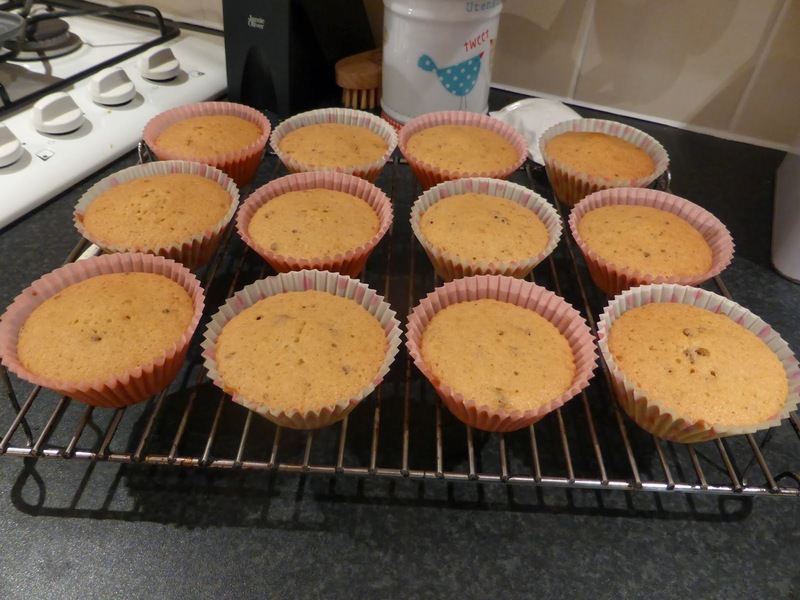 The cakes smelt delicious when they came out of the oven and, amazingly for me, nothing was burnt. 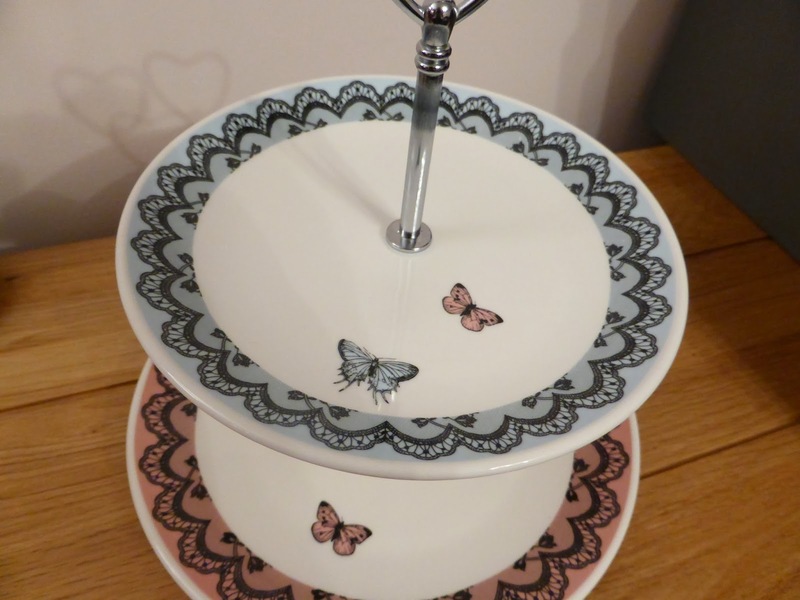 Half the battle with baking however is decorating and this is something that we definitely need to work on. 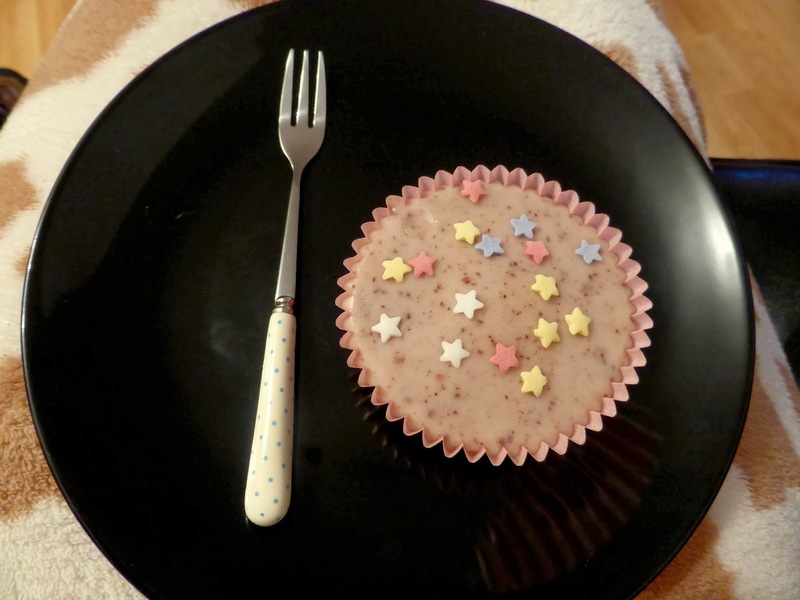 There was a raspberry icing mix included so we mixed up some of that for half of the cupcakes and the other half we iced with Dr Oetker "cupcake icing in a can". Now, here's when I began to really appreciate how special House of the Rising Bun is. Their icing was created with real raspberry pieces and tasted really delicious, however Dr Oteker tasted so synthetic. So we've learnt our lesson there, it's natural all the way for us from now on. 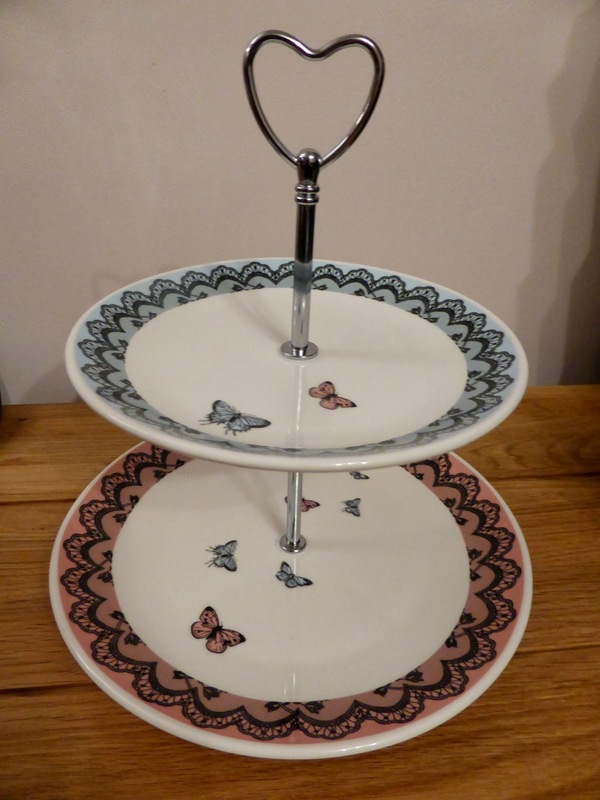 We finished our cupcakes off by displaying them on the beautiful cake stand that Simon's Mum bought us for Christmas. Knowing how much we enjoy our afternoon teas she got us the stand as well as an afternoon tea baking book - who knows maybe by the end of the year we'll be able to make our own afternoon teas. 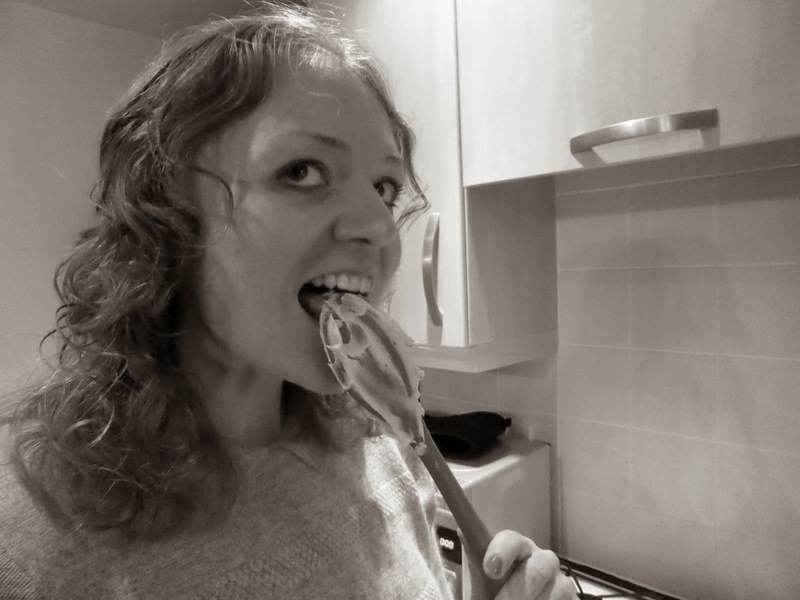 The fun part of baking is of course the taste test. I may be a little biased but they were actually really scrummy and I'm very impressed with the House of the Rising Bun mix. 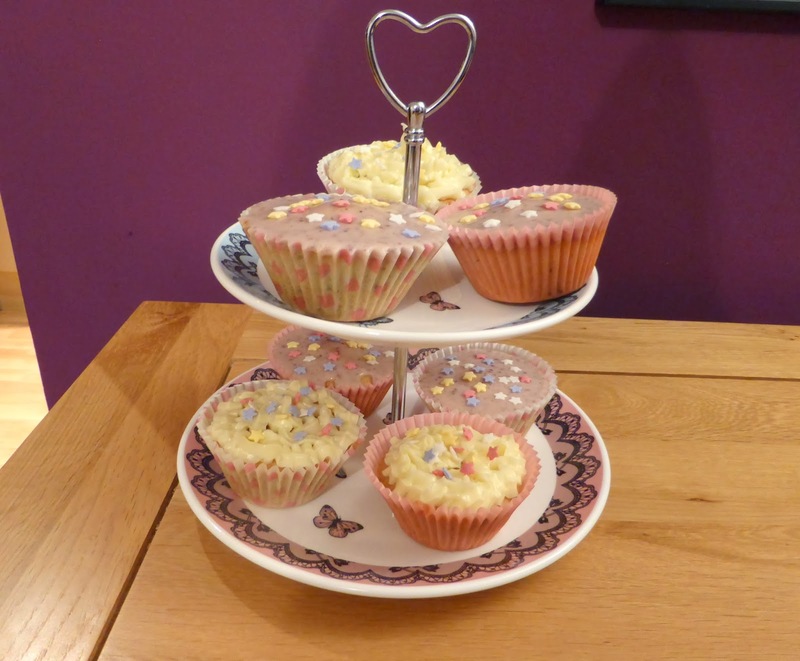 The cakes tasted lovely and fruity and the icing was delicious. We devoured our cakes using the little afternoon tea forks that my sister got me for Christmas. 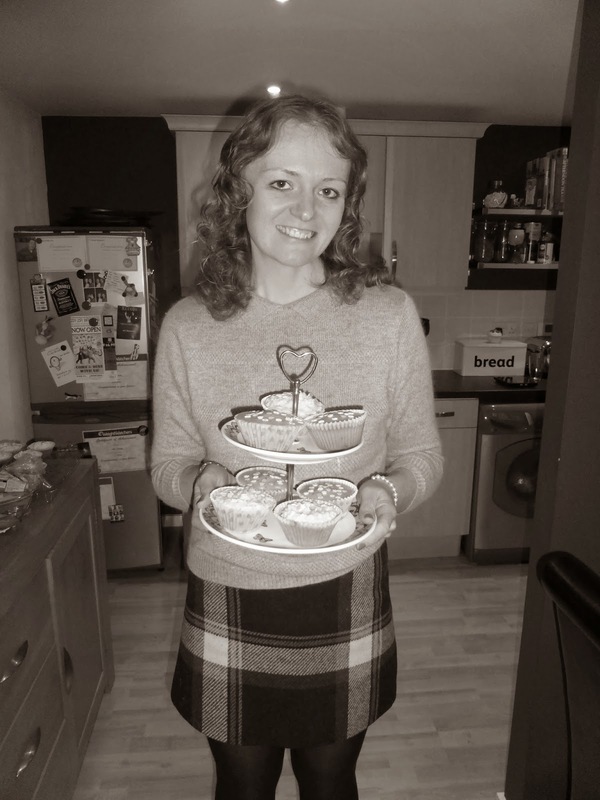 So all in all a great success and I'd recommend anyone who is a complete beginner at cupcakes to check out the website. Let me know how you get on! They look lovely :D Always fun baking cakes.